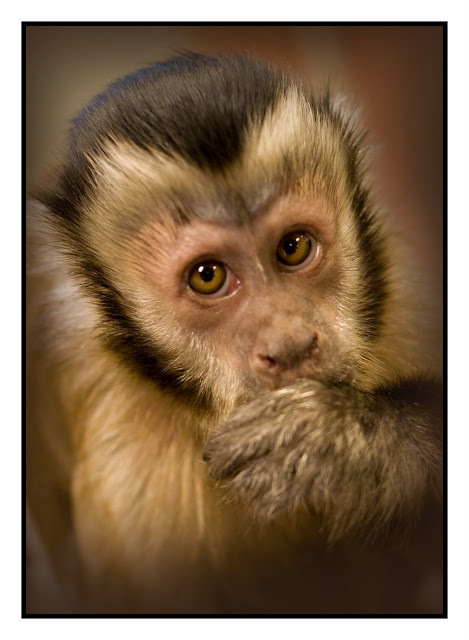 Lori Riggins Photography: Monkey Business! Meet Dinky. This gal and her brother came into the bank a few days ago, and everyone loved them! Dinky's brother had to stay in a crate because he stresses easily, but Dinky was the belle of the ball! She was just like a toddler.... drank from a bottle, had toys, was very loving, tried to get away from her (human)mom to explore, she even had her own AquaDoodle board to draw on! Most people that know me know that I am not a fan of monkeys at all, but this one may have converted me - she was a doll!